The KLIBO add-on electronic brake is designed for braking AC- and Three-phase cage motors. The powerful integrated electronic generates DC which causes a standing magnetic field in the motor coil and brakes the rotor. A powerful industry-grade microprocessor controls and monitors the braking process. After mains voltage is applied the integrated release relay switches the control voltage for teh device eg. the braking circuit. Braking starts when the motor contactor is switched off. 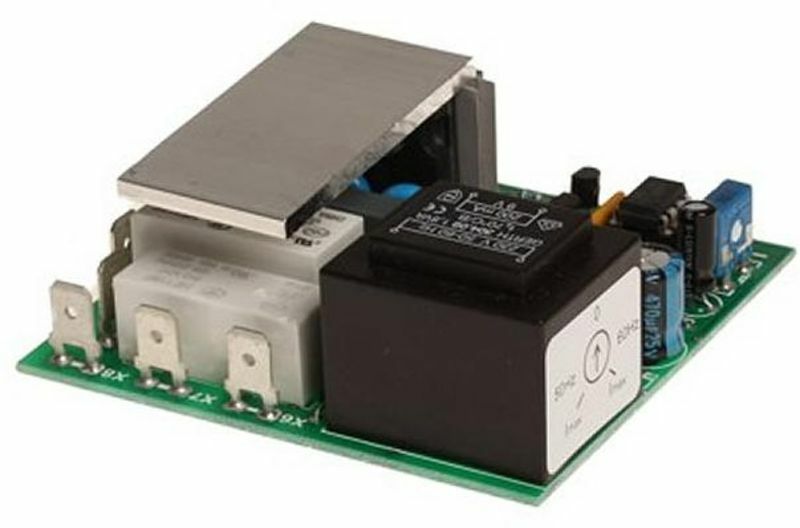 The release relay shuts down the contact to the motor contactor coil and after 600 milliseconds the braking circuit is connected to the motor. The braking process lasts for 10 seconds. 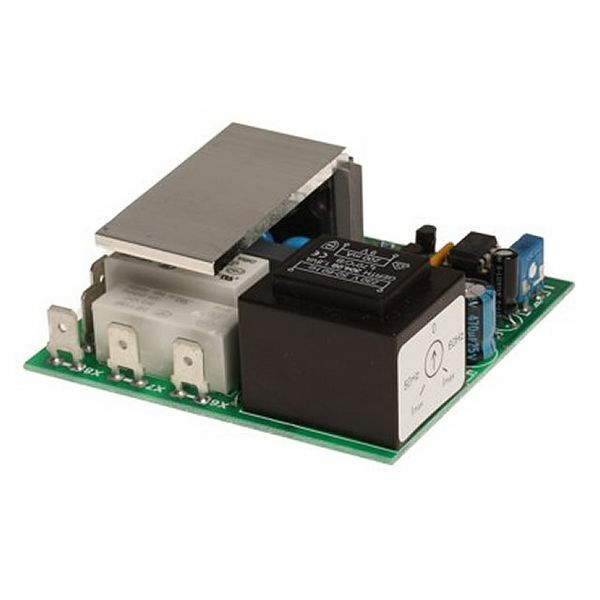 When the braking period is expired, DC is switched off prior to opening the power circuit to the motor. The release relay signalises that the braking process ended. Furthermore a restart of the motor during the braking process is possible. The system receives the command for initiating or aborting the braking process from the SP input. The braking current depends on the motor and flywheel mass. It can be adjusted with a potentiometer. Our experience from several projects in the past shows that it is reasonable to test the motors and its flywheel mass in our development centre when production quantities warrants this additional effort to ensure the optimum adjustment of the brake. On request external adjustment of the brake can be realised for all our available switches.